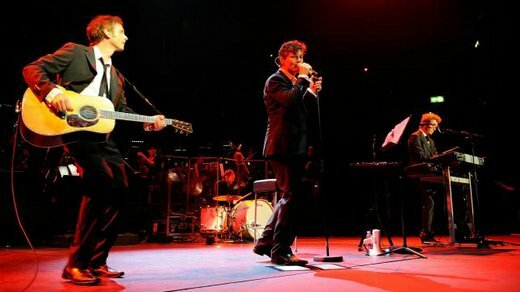 a-ha played at the Royal Albert Hall in London for the 6th and final time yesterday. Like in Oslo earlier in the week, they were joined by members of the Oslo Philharmonic Orchestra and played both Hunting High and Low and Scoundrel Days in their entirety. For some high quality videos from the concert, check out the ones that Chris is uploading to YouTube here. On Wednesday, following a signing session for the 25 compilation at the HMV store in Oxford Street, the band did an intimate gig at the Heaven nighclub for 300 lucky competition winners. Earlier in the day, they did a few TV-appearances on ITV. A short interview on Daybreak (YouTube), then an interview on Lorraine Kelly’s show (YouTube) and a live performance of “The Sun Always Shines On TV” (YouTube). On Thursday Magne and Morten were interviewed on Loose Women (YouTube), and Paul joined them for a live performance of “Take On Me” at the end (YouTube). 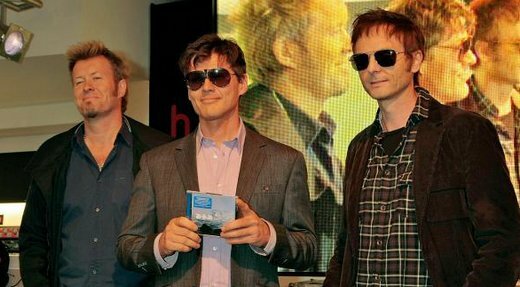 a-ha will do a signing session and an exclusive live performance in London on 6 October, to promote the UK release of 25. 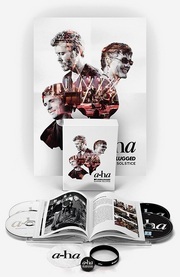 “25 – The Very Best Of comes at the start of a bumper week for a-ha, as HMV have announced today that they will exclusively celebrate the album’s release with a signing at HMV’s Oxford Street flagship store at 6:00pm on Wednesday 6 October (due to limited time, 350 wristbands will be issued in-store only from 9:00am on 6 October on a first come first served basis).